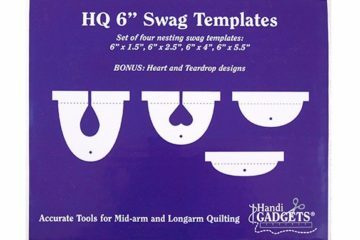 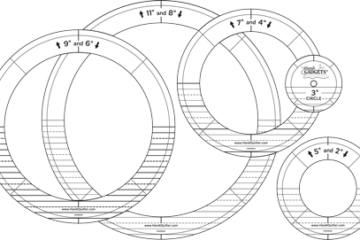 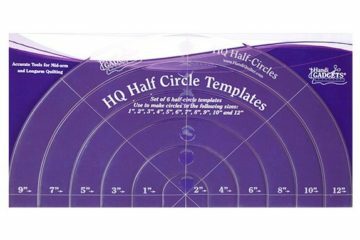 This set of half circles are easy to grasp and control and are in 1in increments (1 1/2in to 11 1/2in) for quilted circles from 2in to 12in. 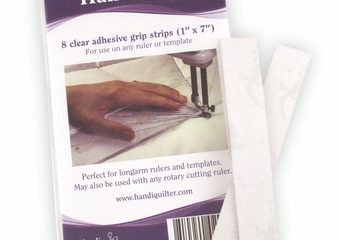 The HQ Handi Grip keeps your rulers and templates under control with self-adhesive gripper tape. 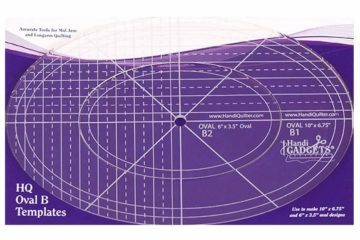 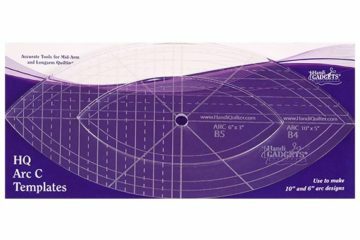 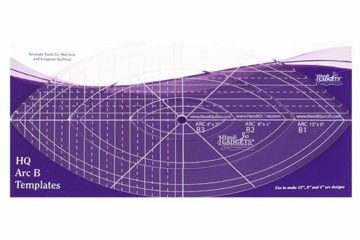 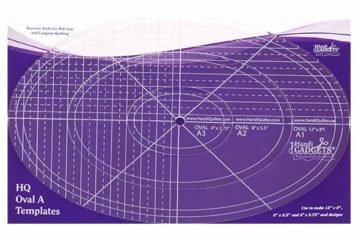 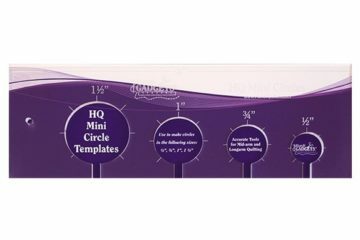 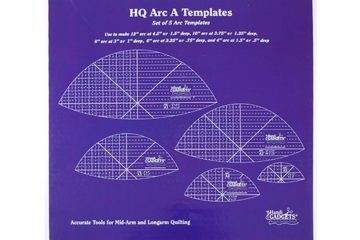 This slotted template has holes to quilt circles 1/2in, 3/4in, 1in and 1 1/2in. 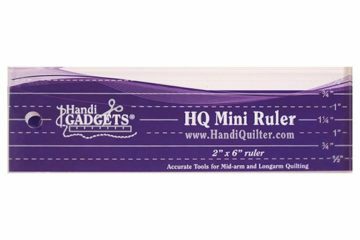 A perfect mini ruler to fit in the palm of your hand. 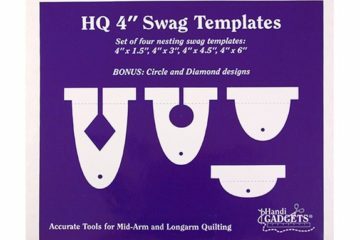 Great for straight stitching, diagonal lines and stitch in the ditch. 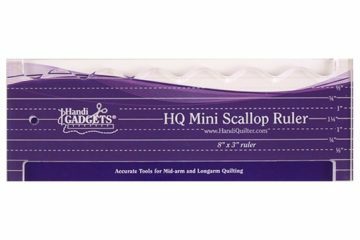 This ruler is perfect for mini clamshells, use the straight edge for stitch in the ditch and straight lines. 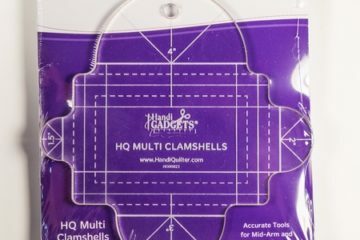 This Multi Clamshell ruler is the perfect tool for quilting clamshells, orange peel, scallops, waves and whole circles.